The port city of Dalian in northern China is a city of contrasts. A vibrant center of trade and industry, this rapidly growing metropolis plays an equally important role in the region as one of the country's most popular vacation destinations. In the city center of Dalian, the Beijing office of the NBBJ architectural firm designed the Eton Place Dalian tower complex as a superlative multifunctional development: five mixed-use towers standing 41 to 81 stories high and a six-story mall transform the 6.23-hectare site into an exclusive microcosm of urban life. The connecting element between the two highest towers is the spacious mall, with a roof designed in a manner reminiscent of a park. Over six floors, it offers a representative atmosphere for high-class boutiques, a luxury department store, elite gastronomy and a supermarket. Large Mediamesh screens from GKD running around the corners of the building seize the attention of passers-by at both main entrances. 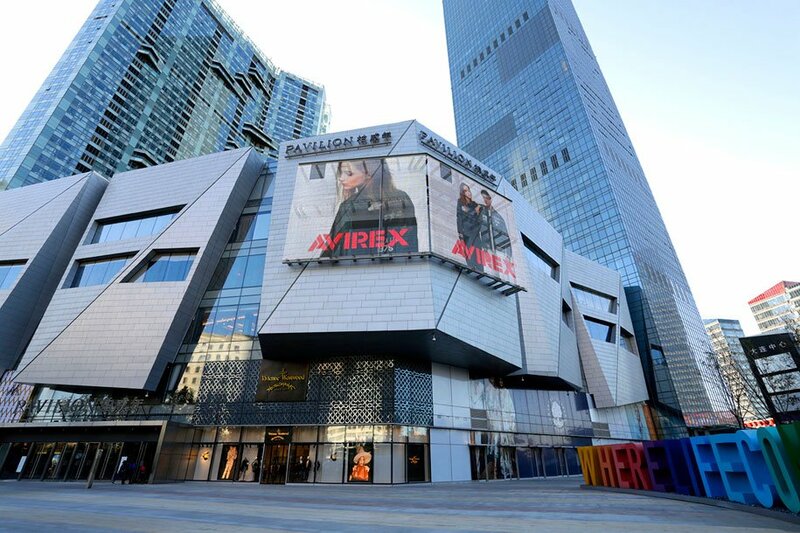 The transparent displays made of filigree stainless steel mesh with integrated LED profiles function as an advertising platform for luxury goods from all over the world and underline the exclusivity of the building complex.